I just wanted to make a New Year’s post before I forget! May your 2011 be bright and full of health, hope, happiness and love. After a year of trying to fight the gray, I’ve decided to go with it. I’m talking about my gray hair. I decided at 33 and 34 years old, it was too soon to have gray hair, but the other day as I went to pluck my pesky line of gray hairs that are near the front of my hairline, I decided to leave them. I’ve decided to embrace my gray hair and let them grace my head. They are a part of my character and if I continue to pluck them I’ll eventually be bald anyway. At first I thought I could color my hair, but as I look at my natural hair color with its luster and sheen I don’t want to do that either. I’ve worked hard to grow my hair out in its natural state after years upon years of coloring. So, after I don’t know how many years, what you see is what you get. I’m embracing the gray, which also, in a sense, means I’m embracing the future and even the past that gave me those gray hairs. I’m currently on my fourth day of being sick (despite what the title of this says). I spent three days pretty much flat from this. Hello winter. Hello winter illness. Sorry this blog is so short, but I just wanted to say I’m back on the face of the Earth again. And I still wonder if anybody at all reads this blog! It sure has been snowing a lot in the town just north of me. Seems every time I logged on my Facebook, the meteorologist up there was talking about another inch or two of snow. Which continued to perplex me since there hasn’t been much snow in the state. This morning I saw his status again: another inch of snow. Really?! This was seriously starting to confuse me. The station he works for didn’t talk about any snow, yet on his Facebook, there it was: another inch. Finally, I realized the problem. Mr. Waugh had moved to another state, where there is indeed, a lot of snow. After some giggling because I’ve even canceled plans because of this illusive snow, I went back to sleep this morning. Ah, the joys of elisive snow! 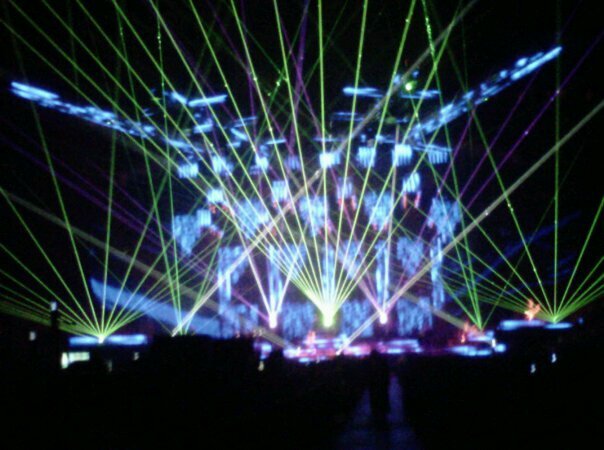 I’m a bit late getting these pictures up, but we saw the Trans Siberian Orchestra this week. They were stunning as usual, but they did make some unpopular changes (both with me and others based on feedback online). But I just wanted to post a few pics and put a plug in for them. That is truly one great way to play the fiddle! My personal favorite. Look at those lasers! 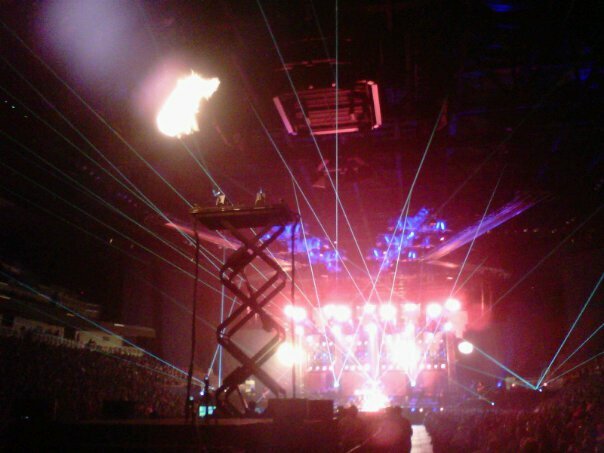 The stage was on fire and so was the lift right in front of us. She was a fantastic fiddle player. While some of this show was disappointing this year, if you haven’t ever been, it’s well worth the money. They are truly fantastic! So I’ve decided to share my “pain” with you all (if anybody reads this of course). Yesterday I found out the person who grooms my furchildren is very sick and is out of commission for months — possibly for good. My heart does go out for her. She’s always been a wonderful person and my dogs adore her. And I trust her, which is a huge thing because I rarely trust anybody with my furchildren. So, which leads me to my next tragedy: my furbabies. I have no idea what I’m going to do with them. My poodle has special needs: in other words, she bites. She’s been kicked out of grooming places for her tendency to bite. I’d do it myself, but I have absolutely no skills in grooming. The last time I tried to shave my poodle, I shaved her leg entirely bald. Imagine how funny she looked? So yeah, that’s not an option for me — or her. So, this feels like a small tragedy for us. It’s a little like finding a daycare provider you trust. For me it feels like the same thing anyway. I need to have somewhere to take my furbabies — someone I can trust and someone I know won’t nick them or hurt them. I have a pocketful of horror stories of my dogs coming home with cuts and sores on them because the groomer wasn’t skilled. And there is NO excuse for my dogs coming home with nicks or cuts from scissors or being shaved. If you know how to handle dogs, it’s not going to happen. And my groomer they saw last NEVER so much as nicked my babies. So no, I will not tolerate that from anybody. I expect my dog to be neat, clean and UNHARMED. No exceptions. And NEVER ANY excuses. You harm my dog and I’ll NEVER be back. And yes, I’m the type that will tell everybody I know that my furbaby was harmed under that person’s care. Accidents happen, yes. But I have no tolerance for it. Especially since my last groomer never hurt my babies EVER. Yes, I’m probably the client from hell. So, I have no idea where to take my babies. First, I am VERY picky and second, my dogs are too. Wish me (and their new groomer) much luck. We’re all going to need it. Many of us get sad and wistful when the leaves drop off of the tree and it the air turns sharp, cold and dry. Sometimes we have to look beyond the cold, gray skies and the fact that we have to bundle up in several layers to even leave the house. Winter is an amazing time of architectural beauty. While the trees have shed their leaves they have also exposed the bones of the tree — the architecture. We can now see the twists, turns and beauty behind the leaves. The basic structure of a tree is quite interesting — and beautiful — to look at. Each tree is unique, just like each person is unique. 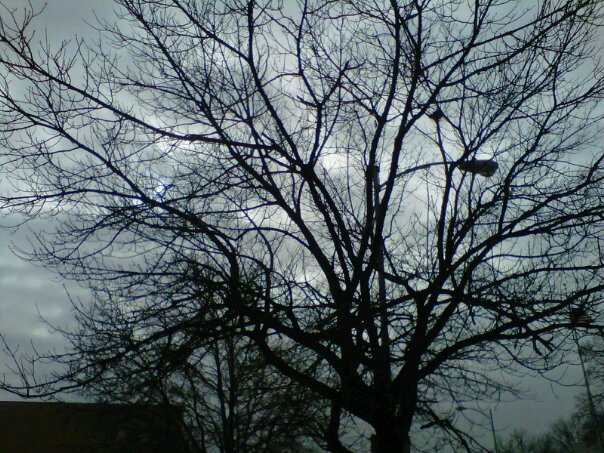 The bare tree branches often are striking against a gray winter sky as well. The branches seem to scrape and sky, breaking up the gloom of the cloudy winter sky. This time of year while everything lies dormant, the beauty of the trees, which are normally hidden by lush, green leaves, is evident. 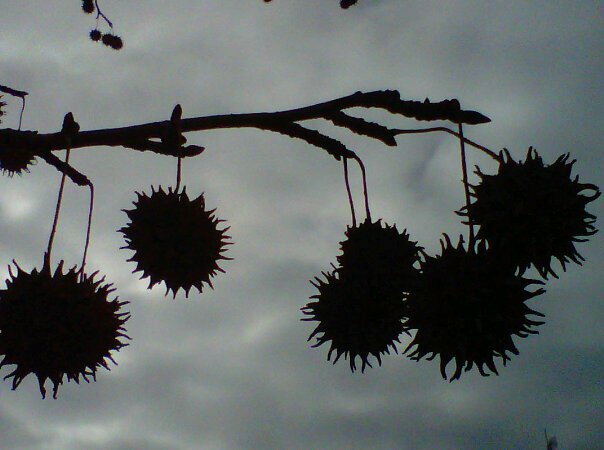 Next time you pass one, stop to look up and see the personality of the tree above you. New design and new projects on the way!! I’m so excited to unveil my new blog design! I also found tools that allow me to see the traffic on my blog…it seems a lot of you read up on my blog when I was writing my book! Soon, I will have a new camera…I have it all picked out and am waiting for some things to come together before I pick it up. I will be launching a new project when I get it and some exciting things are coming up! So stay tuned my friends! Great things are in store!